This entry was posted in Tips & Tricks and tagged Code Navigation. Bookmark the permalink. 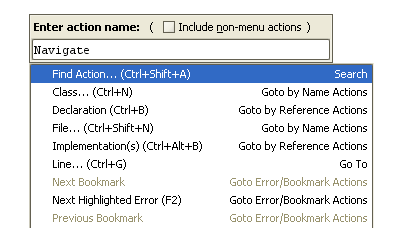 Of course, this is one of the nicest things in the IDE. I ran into it almost accidentally. Is there a way to find out what they mean? I feel like some of the actions aren’t obvious for newcomers. Thanks.